When I first started this blog, I was adamant that all nail polishes were the same - $2 shop, China Glaze, LA Colors, OPI... but I have changed my mind! I love how this turned out! It's much more grown-up for a start, but still interesting enough PLUS it was easy to do! I bought OPI - gouda gouda two shoes (I love their crazy names) online for $8 including postage last week and am so happy it's arrived! I quickly removed my chuck taylor nails (they'd lasted three whole days, for me that is an amazing feat) and applied the beautiful new polish. What I love most about OPI is the brush! It's wider and thinner than most, and it makes application a breeze! It's a bit of a strange colour really, and may not be everyone's cup of tea, but I had been planning what I was going to do with it ever since I ordered it. It's a lot pinker than it looks in these photos!! 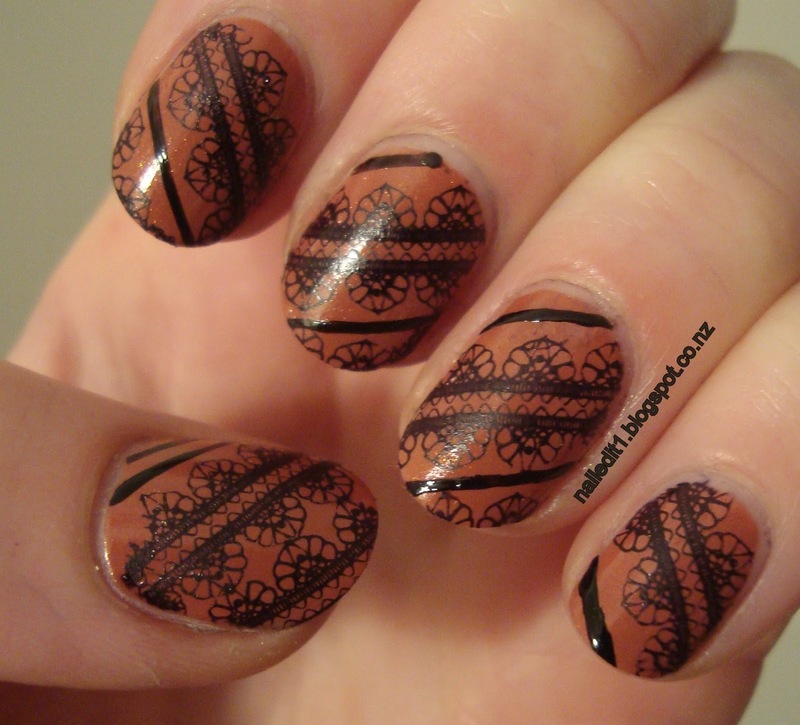 I used a Bundle Monster plate - BM 323 and used the lace pattern. 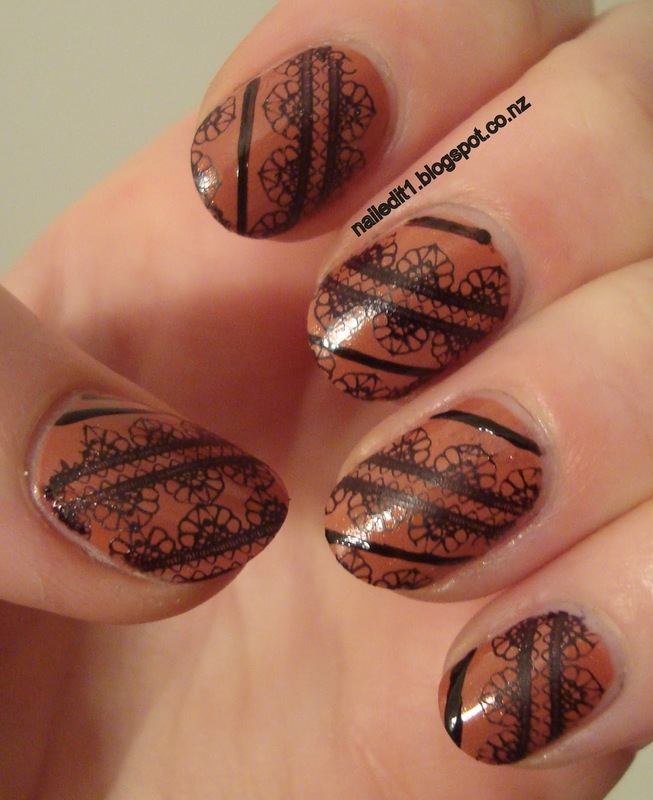 I stamped it on diagonals across my nails, and when there was enough room, stamped at the bottom of the nail too. The fact that they don't go in the same direction was actually an accident, but an accident that I think turned out well. I then got my striper polish by Jordana and painted the lines between and around the lace. And done! Another thing that was good about this polish is that it dried very quickly compared to what I'm used to! I painted them at about 5pm, and normally I'm used to waking up with imprints in the polish the next morning, but not this time. And there were still a good few coats - two of my hardener base coat, two of the polish (although one would have be adequate, to be honest), the stamping and a top coat. 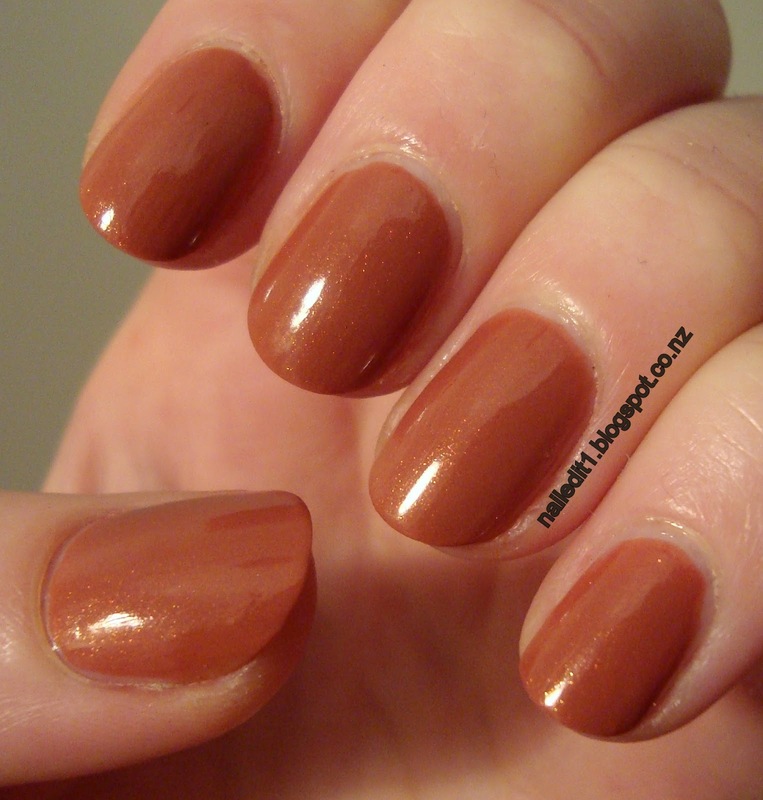 So, OPI - you finally get my approval. You know what else gets my approval right now? Facebook. Last week I hit 50 likes on my facebook page for Nailed it NZ they randomly gave me $50 advertising credit, and since then my likes have doubled... and I'm less than half-way through the money! And I only reached 50 likes because I went all angry about those people stealing my photo and I guess people found me through there. Either way, I'm a happy girl! Pretty shade. The nail stamp looks very good. Thank you! Took some practice but I got there. Vintage rose pattern - tattooed! There's a party on my nails! Liebster Award and Naked nails!